Writing Coach, Carol Woodliff helps authors find their authentic voice and touch the heart of the reader. She provides the knowledge and emotional support for the labor of writing and editing your book and creates a safe space to deepen your connection to your creative muses. 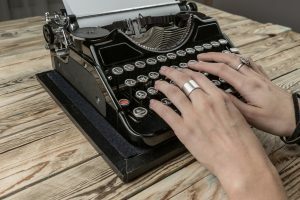 As a writing coach, I specialize in supporting spiritual, self-help, memoir, metaphysical fiction and other authors who believe that writing is both practical craft and a bit of magical connection to something higher than us. Your project is a passion project that you believe the world needs to experience. I have over 30 years of writing and editing experience. I am an author of two books. As a shaman, I believe that books are living entities that come and dance with us. They reveal things to us. They challenge us. They make us face our fears. They surprise us. We work in both craft of writing and the mystical realm of inspiration and creativity. Do you want to craft an authentic, powerful message/story that is received by the reader in a deep and heartfelt place? That is my goal with each writer I work with. And yes, it is about making sure that those pesky rules of grammar are followed–unless you are intentionally breaking them. Great writing takes time and commitment. I promise to help you use your time effectively and help you stay accountable to your vision, even when it is frustrating or taking so much longer than you hoped it would when you started. I will challenge you to dig deep and write a book that will stand up to scrutiny of the toughest critics. You, the author, ultimately get to decide what stays and goes in your book, but sometimes you need outside eyes to tell you that something isn’t working, doesn’t belong or could be so much more powerful. My job as your editor is to tell you the hard stuff that your friends may not want to tell you. They may say “it’s fine” when “fine” means mediocre. I understand the sensitivity of artists and aim to be kind but I’m known for asking tough questions–the questions that the reader who doesn’t know you will be asking. I tap into the book and ask what it wants to be. I work with people who have the goal of writing their best book, and know that their first draft is not a finished book. If you have that first draft done, “woohoo!” Let’s celebrate that accomplishment. Many writers never make it that far. Contact me to schedule a free exploratory session about private coaching or editing services. I don’t work with every author that contacts me. It really is about a personal click of connection between author and editor/book coach that makes the process fun. You want an editor who is excited about your work and has the time for your project. My calendar books up fast with editing clients. I only take on those authors I feel I can give my time and attention. Coaching Calls. Individual sessions or group packages personalized for where you are in the writing process. Manuscript review. A read and evaluation of your book with impressions, problems and opportunities pointed out in notes and a coaching call. This is not a full edit but an opportunity to get some feedback without the cost of a full developmental edit. Is the story or vision of the book clear? Is the author trying to do too much in one book? Does the organization and presentation help the reader understand the content? Are there gaps where the reader can get lost or confused? Does this author have a unique point of view and voice? What style will help the author convey their purpose or vision? Has the author gotten to the key information that will open door for the reader? Is there a balance between teaching and stories (for self-help)? Do the characters have unique voices? Are there plot holes or places where the reader has to make uncomfortable leaps of logic? Line editing and copy editing focuses on polishing the writing and language used. Includes extensive edits and comments designed to raise the quality of your prose and catch those sentences that you understand but might leave the reader scratching his or her head. Self-Publishing Guidance: Taking on the role of publisher can be challenging. I offer guidance on the process and book promotion. Writer’s Retreats/Workshops: Join my mailing list for information on upcoming writer’s retreats and workshops. “When the dark night of the writing soul comes, it’s important to have writerly support such as I received from my gentle editor, Carol Woodliff.” Libbe HaLevy, Author of Yes I Glow in the Dark!